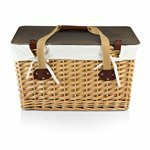 The Canasta Willow Picnic Basket Grande is a flat-lidded empty picnic basket that is as versatile as it is charming. 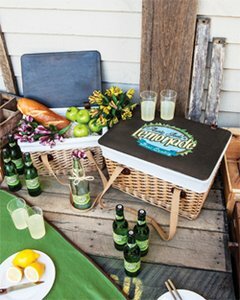 Its sturdy willow base has an attractive double-strand weave design, and its lid is made of a stained composite wood that can be used as a level surface to hold your drinks, plates or other items. 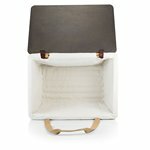 The basket measures 18.9" x 13.8" x 11" and is lined with a removable, form-fitted poly/cotton cover that folds over the rim and stays securely in place with two sets of tie straps. 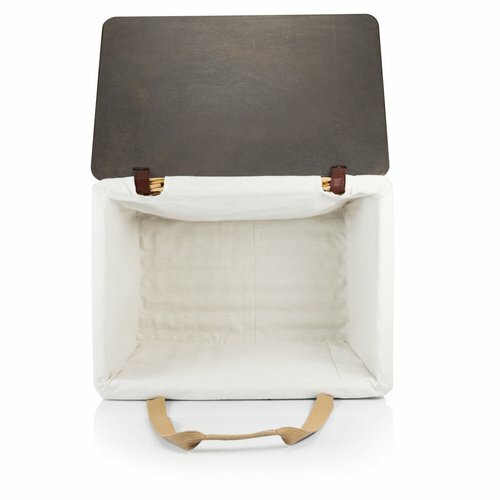 Two long cotton canvas straps can be secured together with a fastening handle for comfortable carrying. 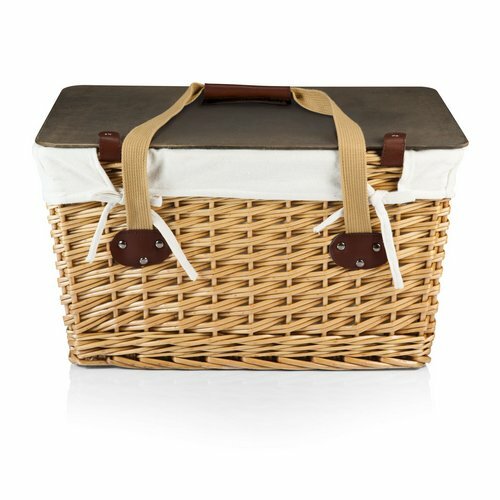 Discover the many ways you can enjoy the Canasta Grande Basket!